If you followed American comic releases back in December 2009/January 2010, this might not be new information. But I didn’t notice until today. 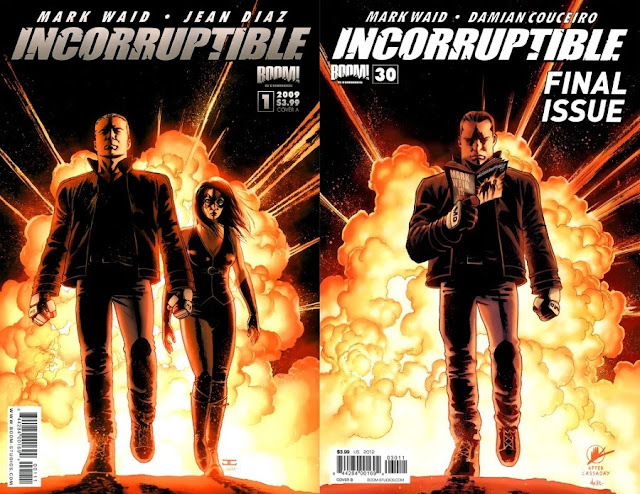 Just browsing the web I saw the cover of Incorruptible #1 thinking this looks a lot like a Donald Duck cover I remember! 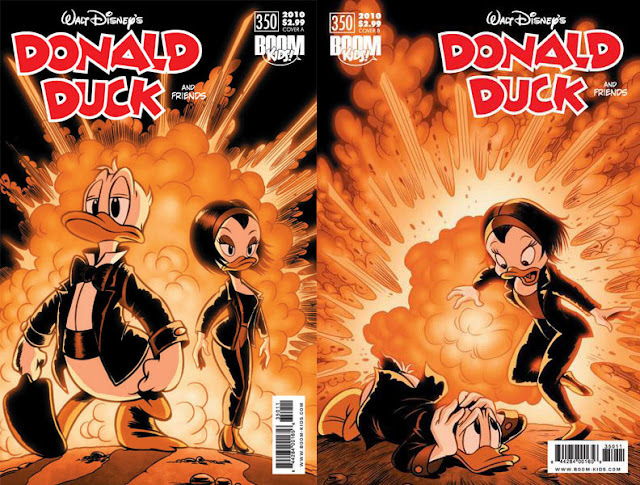 Comparing the A cover for Donald Duck #350 to the premiere issue of Incorruptible they are obviously from the same sketch/idea. Even the background explosion has the same shape. Looking at the release dates we can throw all doubts aside. Both covers were published by Boom! within a month. Inside Donald Duck #350 the art is credited to Magic Eye Studio with colors by Andrew Dalhouse while inducks have this corrected to Euclides Miyaura (affiliated with Magic Eye Studio) and colors by Flávio Bezerra. The first Incorruptible cover is credited to John Cassaday with colors by Laura Marin. But Andrew Dalhouse colored the story inside, which might explain the mixup. Both covers also have a kind of a follow-up/parody of the original. A and B cover variants of Donald Duck #350, published by Boom! Incorruptible #1 and #30, published by Boom!